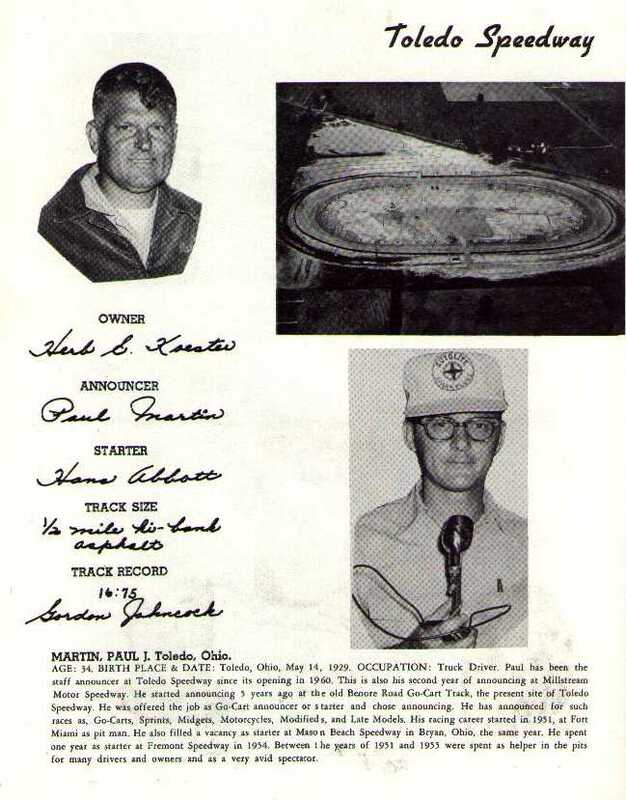 From "Who's Who in Racing", 1963. Supermodifieds. Toledo Speedway info sheet.